Shout out to all OCDs: RTHK Need YOU for a new documentary! 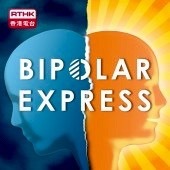 Following the unexpected & slightly derailing awards success of Bipolar Express, Bipolar Hong Kong founder Sadie Kaye has been commissioned by RTHK to produce & present another lively half-hour doc for the broadcaster, this time exploring the myths, truths, stigma & stereotypes of life with OCD (Obsessive Compulsive Disorder). The doc, cheekily titled As Bad As It Gets, will air in early 2019. Next Post Support Group Meeting in Central Next Monday!